Through Kollecto, I’m learning that most people are intimidated by art. 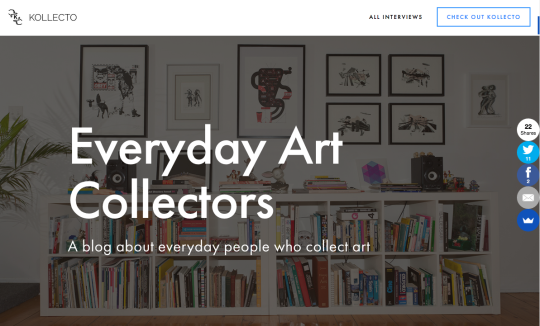 So I’m starting a blog, chronicling stories of everyday people who own and collect art. I’m currently interviewing people for the blog, but I started with my own example. I’m hoping that the stories on the blog help people understand that you don’t have to be super rich to live with art in your home.